So, welcome to the best day of my life. I recently got back from a trip starting in San Francisco, with a week in LA and then finishing in Vegas and naturally driving through the desert was the best bit. 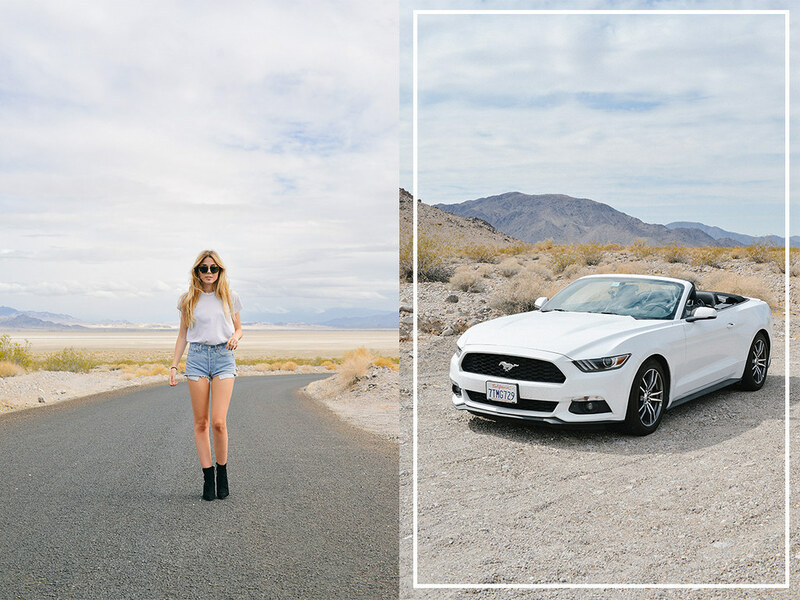 James and I drove from LA to Vegas in our lil white Mustang and due to James having some points on his license I got to drive the whole way (best. day. ever.). So naturally, it features in the post. We made various stop offs, which you'll be able to see in the vlog I made which should be live next week (my YouTube) and I'm going to pop a round up post of all the film photos I took in a couple of weeks too. I only wound up shooting a couple of outfits out there which really annoyed me as I planned to shoot every day but I got a bit ill and things just got on top of me but I am pleased with the content I got! Loving this look, the boots are perfect!